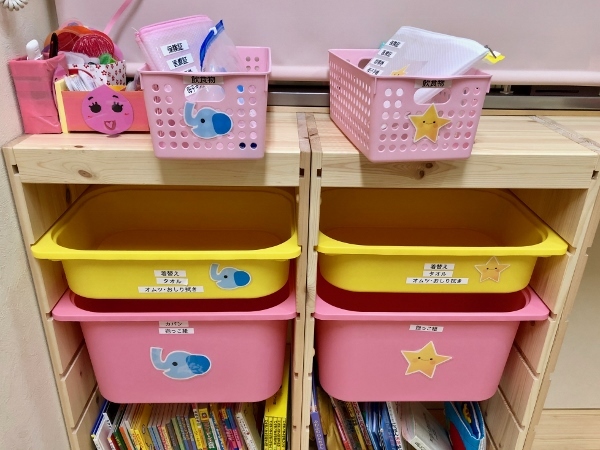 “Your child’s got a fever.” Words that all parents of young children in Japan dread to hear, since nursery schools won’t look after kids with a fever over 37.5C. This has meant that someone must stay at home and look after the child, a huge problem for working parents without family support in the locality. 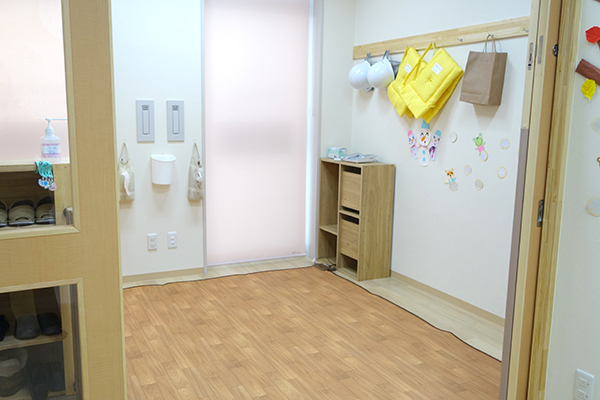 For parents in the Toyosu area there is some good news, though; from January 17th, 2019 the nursery school specifically for sick children, Florence, opened in the Ciel Tower above Toyosu Station. 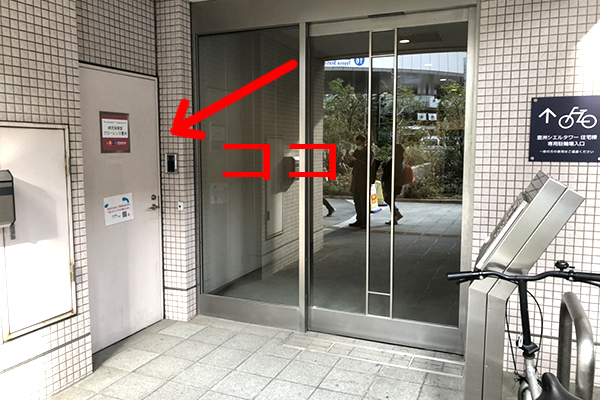 Florence is adjacent to the Toyosu Child Support Centre on the first floor of the Ciel Tower. The front door is located next to the apartment building entrance. The qualified nursery staff have all completed an 80-hour short course in taking care of sick children and are continuously in training. The service provided at Florence exceeds the standards set by the Metropolitan Government, with three members of staff always present. The interior is airy and pastel toned with a staff of four. The rooms are separate so that children with infectious diseases such as influenza or gastroenteritis can be accommodated. It’s a boon! The details of each child’s ongoing condition are continually updated throughout the day by the staff. 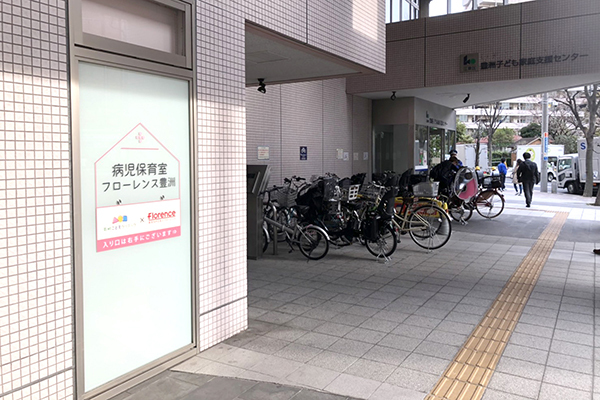 Florence Toyosu coordinates with the Ariake Kids Clinic so that any sudden change in the child’s symptoms can be met with a swift response. Each child’s personal belongings are stored with easily recognizable labels to prevent the further spread of disease. Most parents, especially mothers, must inevitably feel guilty about having to leave their poorly children and go to work. 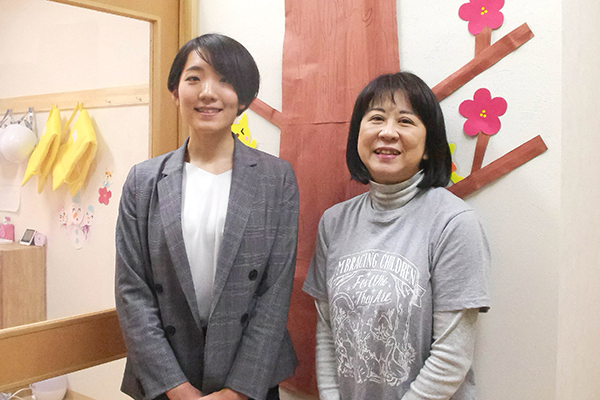 However, as Florence Toyosu staff member Ms. Komori says, “Children getting a fever is an entirely natural occurrence. It’s simply something that happens to all children, all over the world. Our aim is to assist working mothers by creating a comfortable environment for their children, so they can do their jobs with peace of mind”. The staff select the playing style to match each child’s condition. Children can bring their own favourite stuffed toys or towels to make them feel more comfortable. 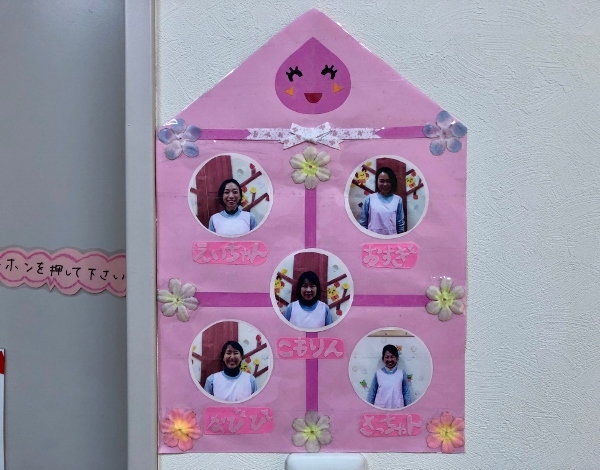 The staff encourage the children to use their nicknames; at Toyosu it’s Komorin, Ei-chan, Osugi, Nabibi, and Sa-chan. 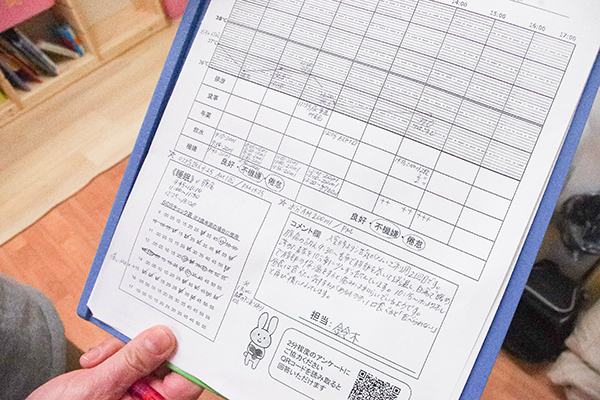 When the kids go home their parents or guardians are given a detailed report of their condition throughout the day. Initial registration, reservations, and cancellations can all be made on the internet. The initial registration can be completed by parents or guardians from home, and it takes about five days for the application to go through. It’s certainly a service for busy mothers! 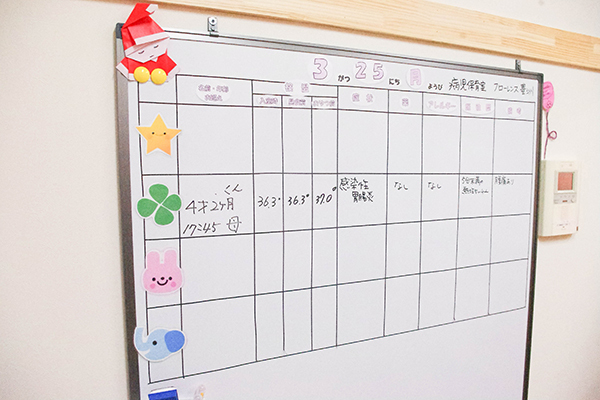 Day care fee: 3,000 yen per day. (With a registration fee of 1,000 yen on the first day; an after 6am cancellation fee of 2,000 yen is charged). When the parents go to pick up their children the kids often say how much they enjoyed the day at Florence Toyosu. It’s reassuring to know that such a reliable place exists, if that critical need ever arises. If Florence Toyosu is ever full there’s a very convenient House Call Nursery For Sick Children System. This requires an admission fee but if you register you can make an appointment up to 8am for a nursery care staff member to visit your home and take care of your child. Please go to the 「入会お申込み」section. ※For those using a Kotomise Coupon, please select the basic plan (ベーシックプラン). Next to the 提携割引およびキャンペーンを利用します (Tie-up and discount campaign use) section select はい (Yes). Enter the partner code No. :BY0401 to generate the discount. 1 minute walk from Exit 6b of Toyosu Station.